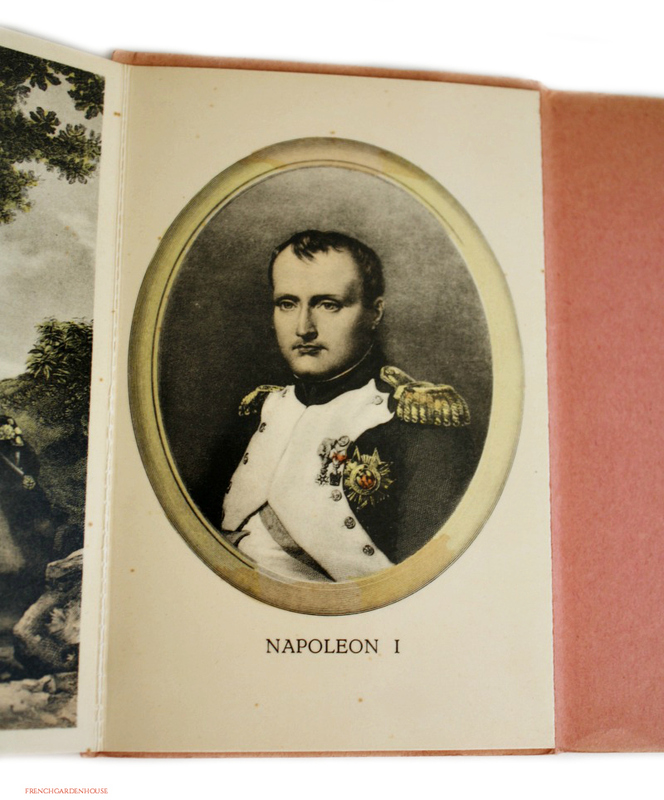 For those of you who love Napoleon, military antiques and ephemera, this is a wonderful find! 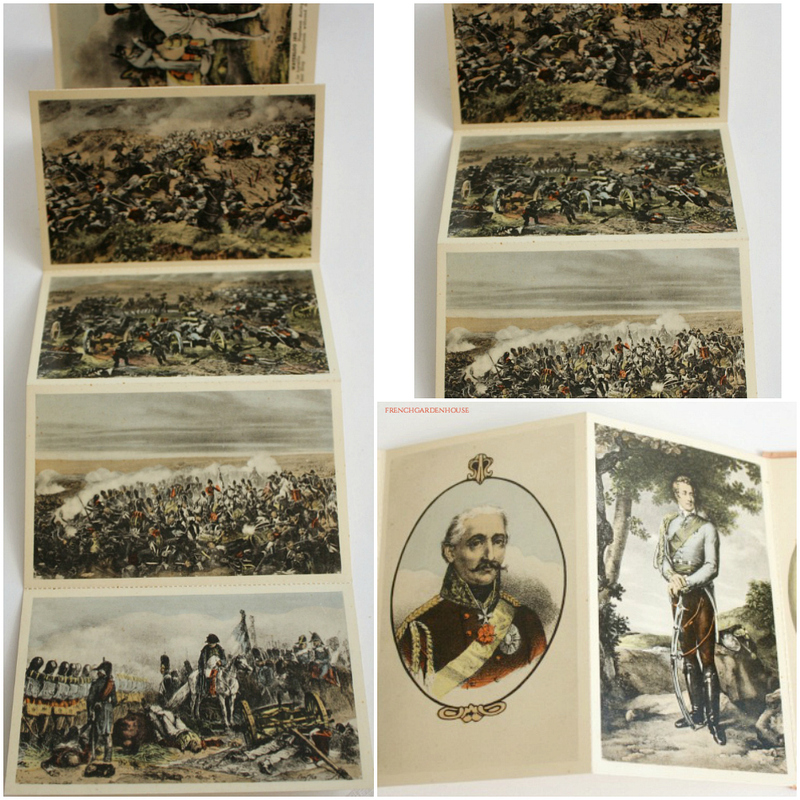 This collection of ten colored postcards features scenes from the historical battle, as well as the Duke of Wellington, The Prins of Orange, Prussian Commander Blucher, and Marshall Michel Ney. 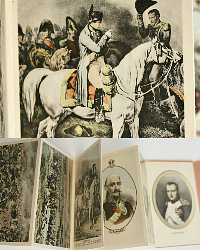 Printed in Belgium, it retains its original soft red cover, the cards are all attached. 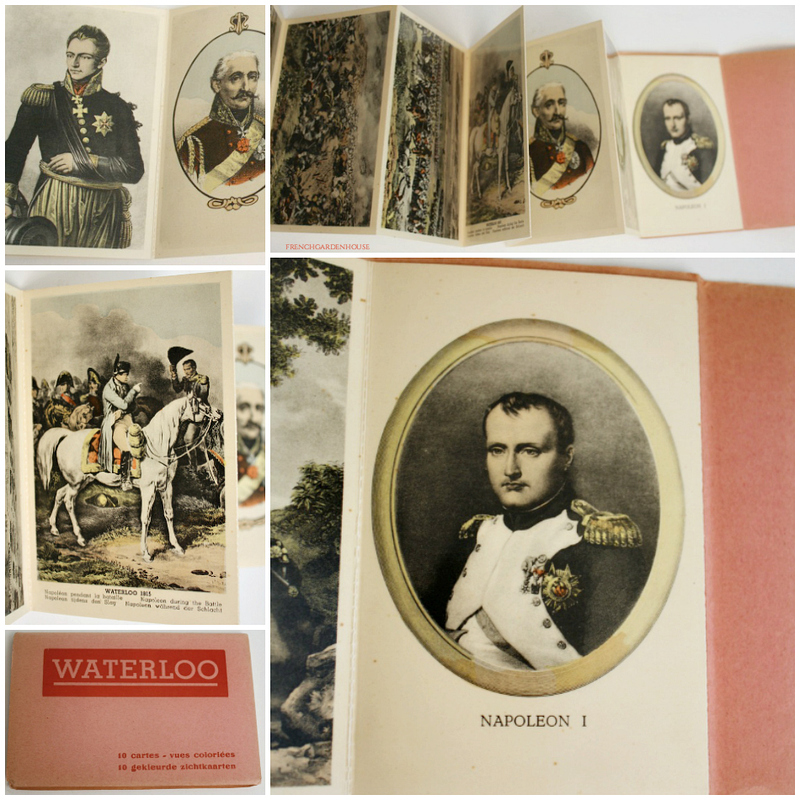 A wonderful addition to your Napoleonic collection, postcards are glossy.